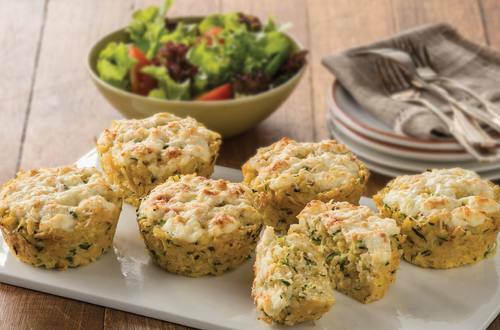 These zucchini rice cakes are a quick and simple way to whip up a tasty meal for your family. Be sure to make extras so you can pack them for school or work the next day! 1 Preheat oven to 200˚C. Lightly grease large muffin pan with Flora spread. 2 Bring Rice and water to the boil. Cover and simmer gently for 10 minutes. 3 Allow to cool slightly, then stir through zucchini and eggs. Divide between muffin pan, top each with ricotta and Parmesan and bake for 20-25 minutes or until set and golden.